Back cover blurb: ‘I’m not safe – you have to help me…’. Little Lorna Bell is from a notorious family on a rundown estate. Everyone thinks she’s a nasty piece of work. The schoolchildren call her a thief. But Lorna’s hair is matted, her shoes pinch her feet and school teacher Claire Penny can’t help herself; some kids just need a bit more support, a bit more love, than the rest. As the bond between teacher and pupil grows stronger, Claire sees Lorna’s bruises, and digs to uncover the disturbing tale behind them. Heartbroken, Claire knows she has to act. She must make Lorna safe. Just when Claire thinks she has protected Lorna, a chance encounter brings enigmatic stranger Marianne Cairns into their lives. Marianne seems generous and kind but there is something about her story that doesn’t quite add up. Why does she feel so at home, and why is Lorna suddenly so unsettled? Claire has risked everything to save Lorna. But what can save Claire from the shocking truth? Bad Little Girl is a psychological thriller with a difference. The victim is not the person that you might naturally think. I cannot say anymore on that for fear of revealing something I shouldn't. Claire (Miss) Penny is a teacher at Lorna Bell's school. Lorna is from a notorious family on a run down estate. Impoverished and perpetually dirty, Lorna is a timid little thing who seems lonely in the playground. Claire takes steps to take Lorna under her wing and encourage the girl to come out of her shell a bit. Quickly Miss Penny becomes the only adult that Lorna seems to trust. I did guess the twist before it came, but I do think that's because I do read a lot of this genre. And I have to be honest, it didn't take anything away from the novel for me. If I'm honest, I even doubted myself for a little while, the writing is that good. Bad Little Girl is a very impressive novel and I look forward to this author's next. 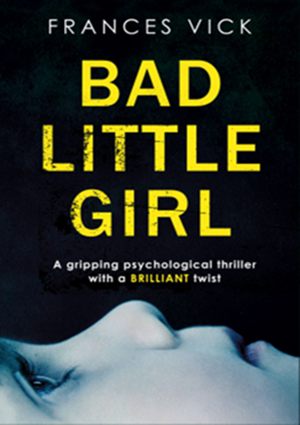 Bad Little Girl is available now via Amazon online and all good book shops.